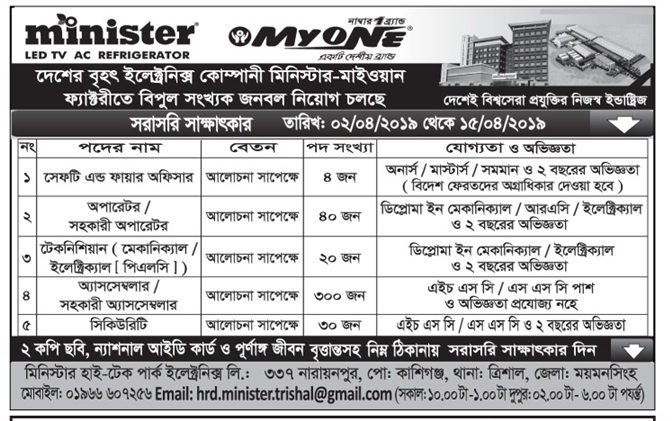 Minister- Myone electronics job circular 2019 has been published by the authority. It’s an huge opportunity to unemployed people. Minister- Myone electronics group is the most popular company in our country. To get myone electronics job circular 2019 related all information,you can visit my website that is jobs.lekhaporabd.com. Anyone can take this opportunity. Myone electronics is giving a healthy offer to people to build exciting career opportunities in market sector.